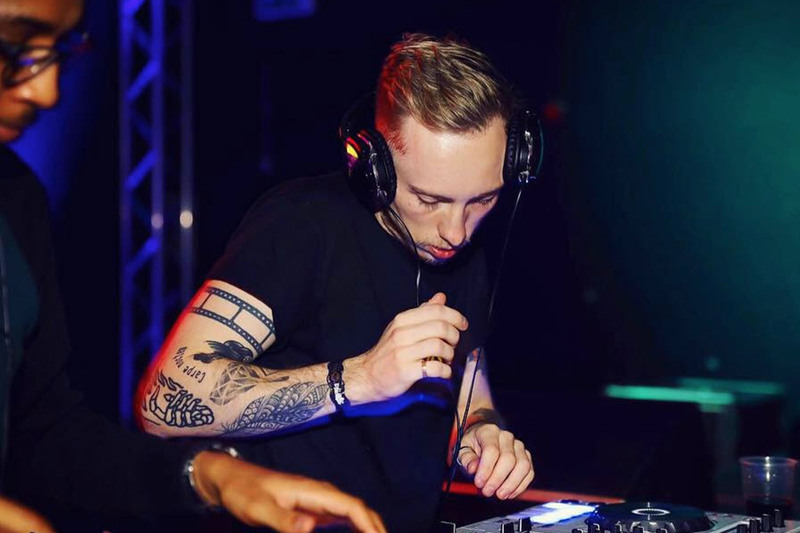 DJ Gym alumni have been making inroads into the music industry ever since our launch and many students have been getting attention online and on the dance floor. In our second introduction, ‘DJs To Watch,’ we showcase Ethan Coyne, aka 3than. “ I bought my first set of Pioneer DDJ-SB’s and practised on them religiously. Taking an initial shine to festival style and big room house, my style then transitioned from deep house, onto urban music, drum & bass, dubstep, bassline and more. I’d call myself an open format DJ as I can and will play anything for the right crowds. However, my forte is mixing deep house and bassline. I graduated DJ Gym in the early months of 2016. I had Mark Emvee as my coach and he was extremely helpful with tightening up my skills. Through DJ GYM and LSA, I was given the opportunity to play at the Roadtrip Bar in Shoreditch a few months after graduating which was a great experience. After completing my course, I managed to grab my first set at a local club in Nuneaton town in 2016. Since then I’ve played around the country at venues in Birmingham, Norwich, London and Leicester, whilst supporting acts such as Lethal Bizzle, Marc Spence, R3wire, Sigma and so many talented other DJ’s! Over the last 2 years I’ve managed to attain 2 resident slots both in Leicester and at my University. I’m very fortunate to be where I am and I’m so thankful for everyone helping me on my journey so far. My goal for the next few years is to get my name out there and play around the country at as many clubs and festivals as I can. I’d like to follow in the footsteps of people such as Nathan Dawe, Danny T and James Hype as they’ve managed to make a name for themselves over the last few years. We look forward to seeing more progress from Ethan, you can support him by following him on social media to get all his updates. DJ Gym Manchester - Learn to DJ with specialist 1-2-1 DJ lessons and courses! Flexible booking times available seven days a week. All ages and ability levels welcome. Beginner DJ Lessons in Birmingham at DJ Gym! Don't trust us, read the reviews! Learn what an open format DJ does and how to make money as an open format DJ! There is a big difference between track engineering and using a ghostwriter. Which one is for you? DJ and production courses now available in Wolverhampton. Our top five music production plugins for beginner producers! All the hype about Beatsource! Beatport and DJCity launch Beatsource but what is it? Digbeth Records is a new addition to the Birmingham creative quarter's thriving music scene! Is this the youngest DJ in the UK? We're not sure but he is the youngest student we've had in the studio! DJ Lessons for Kids in Oxford and Oxfordshire. DJ Gym is the only DJ School in Oxford. DJ Courses and production courses for kids on offer in Oxord now! The best gifts for DJs at DJ Gym! Here is our top ten xmas gifts for DJs and Producers including Lessons, Courses and DJ Equipment like headphones and controllers! Do you want to DJ at UK super clubs including Ministry of Sound? All DJ Gym graduates can! DJ Gym Oxford Now Open! DJ Gym Oxford Now Open! Contact us for more information or how to enrol! Red Bull Vote DJ Gym As One Of The Top Things To Do In Birmingham! DJ in Ibiza with DJ Gym! Five Star Reviews Across The Board! DJ Gym Birmingham - Five Star Reviews Across The Board! DJ Courses and music produciton courses available at DJ Gym in Birmingham! DJ lessons for kids of all ages are avaialble at DJ Gym studios in Birmingham and Oxford! What social media profiles does a DJ need? Learn the social media profiles you need to have as a DJ.